The guys over at Love ‘n’ Skate have informed us of this epic looking skateboard New Years bash going down at the infamous Pioneer skate park on January 29th. 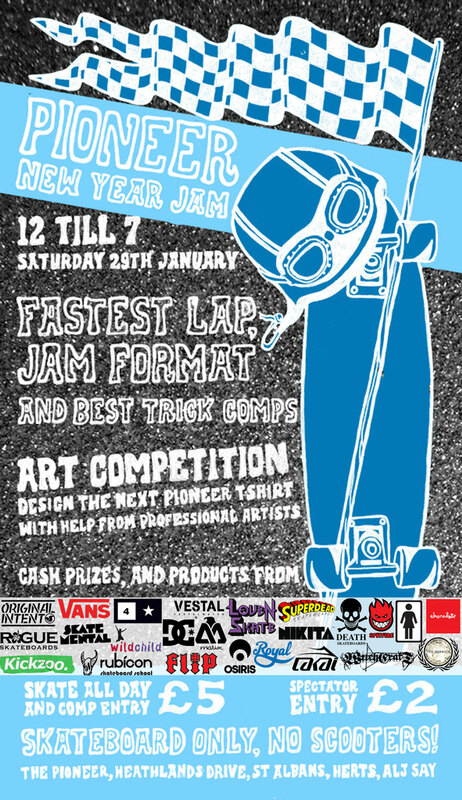 The skatepark will open it’s doors on the 29th from 7am-12pm to host a day full of skateboard antics, antics include a best trick competition, fastest lap comp as well as other product give aways and a art based competition giving a budding artist the chance to design the next Pioneer t shirt. Peep the flyer for details and check out the sponsors list! Plenty of goodies up for grabs by the looks of things. Good work Love’n’Skate!